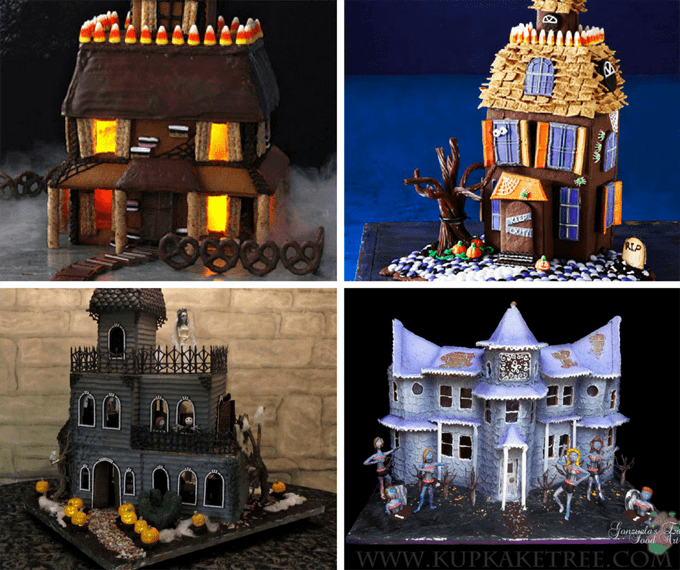 A roundup of 20 awesome haunted Halloween gingerbread houses. 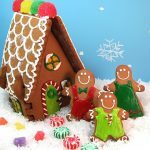 Gingerbread houses aren’t just for Christmas, because you clever and talented bakers dress them up for Halloween, too. 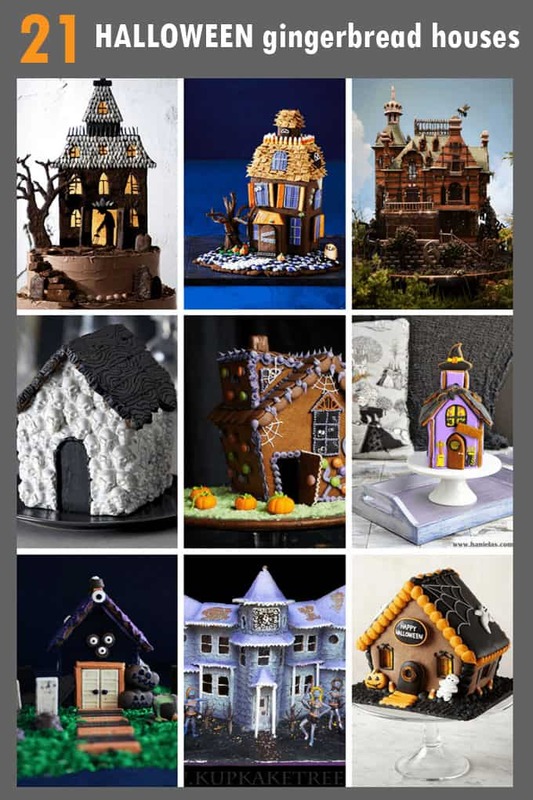 And haunted gingerbread houses have so many creepy decorating options. 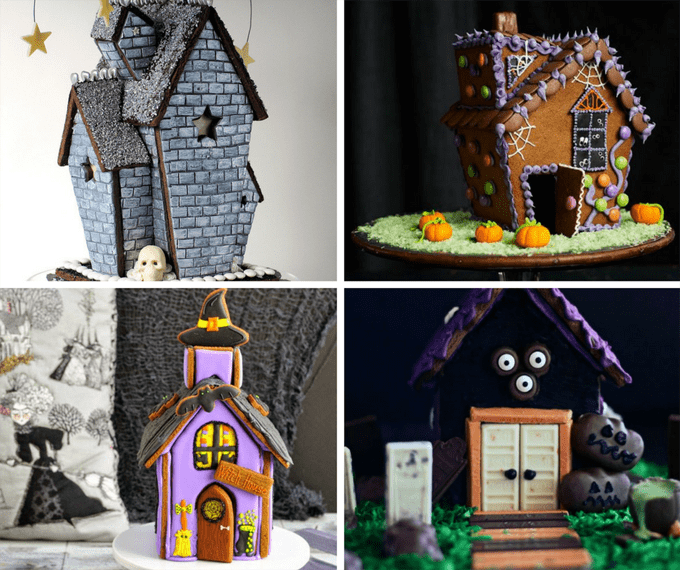 Here are 20 awesome Halloween gingerbread houses. Many below also include how-tos and templates so you can make your own. 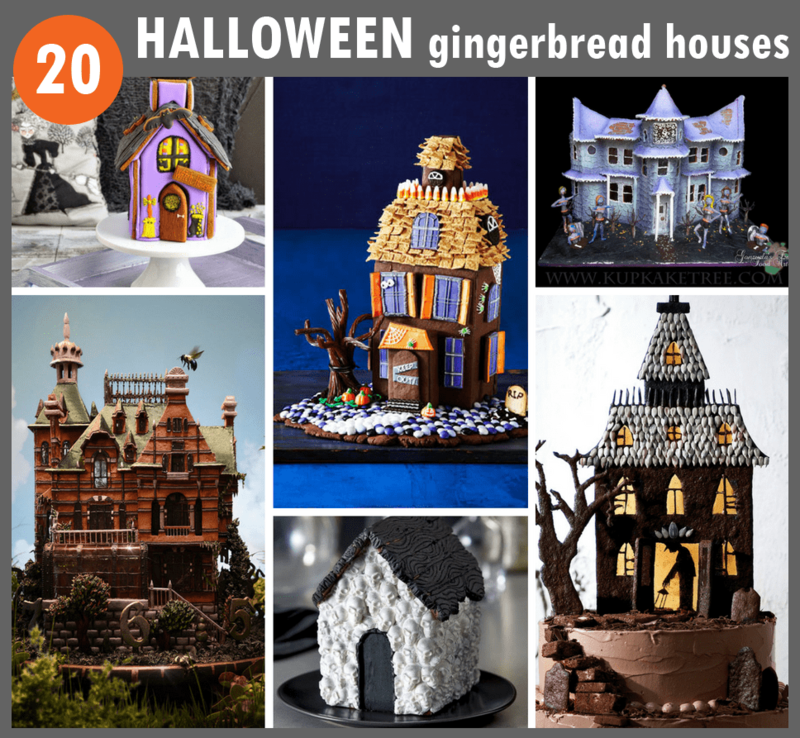 Well, now there is 21, because I’m adding this awesome haunted gingerbread house from BraveTart. Let’s start out with the for-the-win, this edible replica of Miss Peregrine’s home for Peculiar Children, created by Christine McConnell. Check out this haunted gingerbread house at Julia M. Usher. 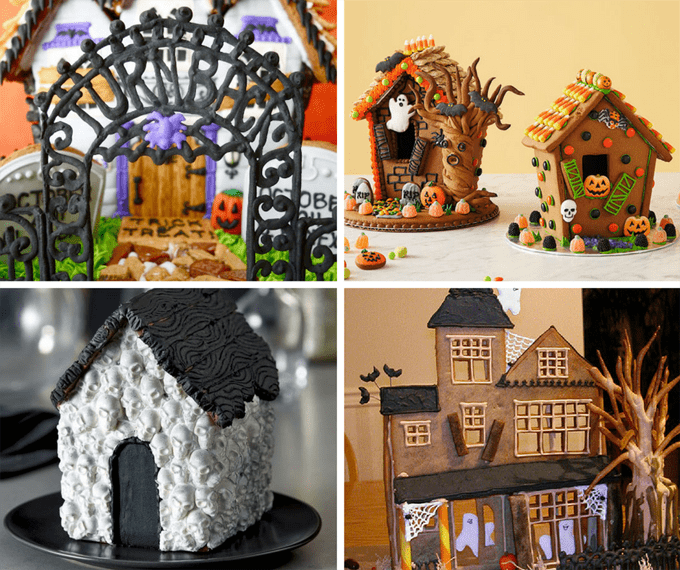 Make a haunted house cake at Martha Stewart. 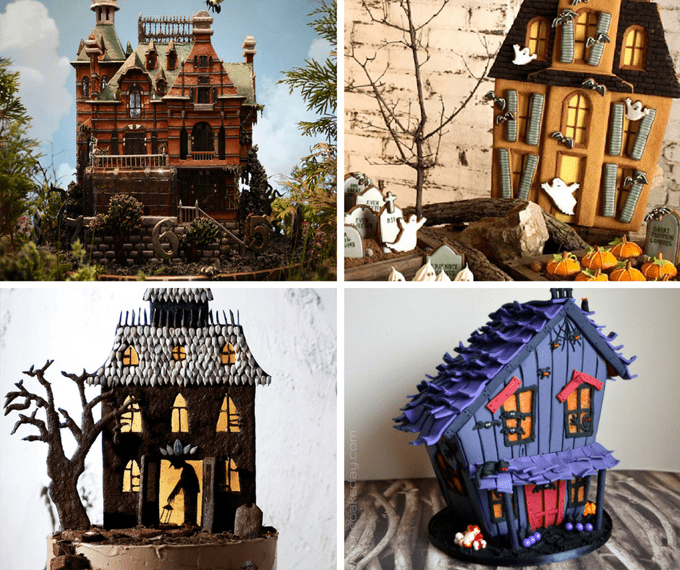 Make this spooky house at One Cake a Day. Make this gluten-free haunted gingerbread house at Torie Jayne. Make this haunted house at BBC. Make this witch’s house at Haniela’s. Make a Haunted candy house at Mom Endeavors. Make a haunted house with template at Smarty had a Party. Check out this haunted gingerbread house by flickr user Pink.Lemonade. 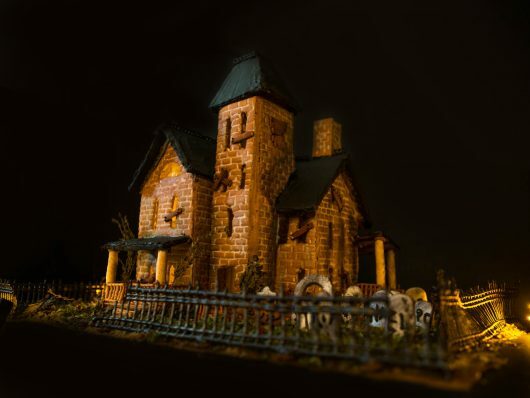 Buy a haunted gingerbread house at Williams Sonoma. 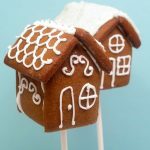 Make a haunted gingerbread house at Better Homes and Gardens. Make this haunted gingerbread house at Woman’s Day. This dollhouse-style (check out the other side!) haunted house by Britta Blvd is incredible. An incredible zombie gingerbread house by flickr user KupKakeTree. 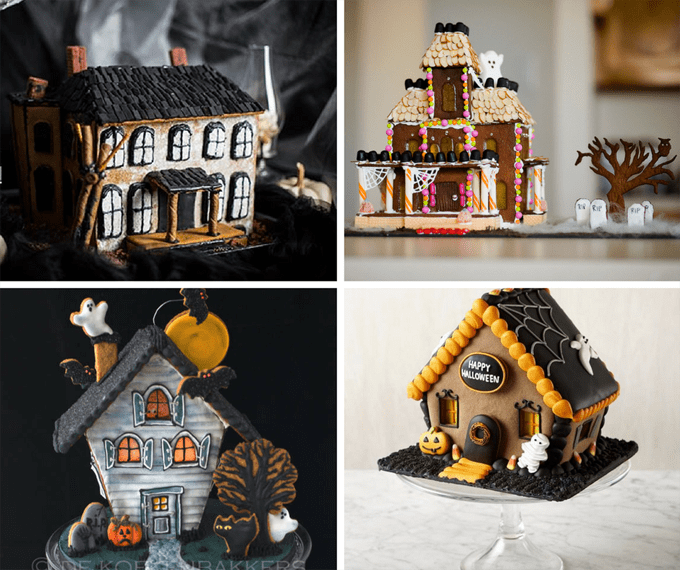 Make a cute haunted house at Oh Sugar! Events. Find these little haunted houses at Hallmark. Make a skull house at Wilton. Check out this haunted house at Sweetopia.